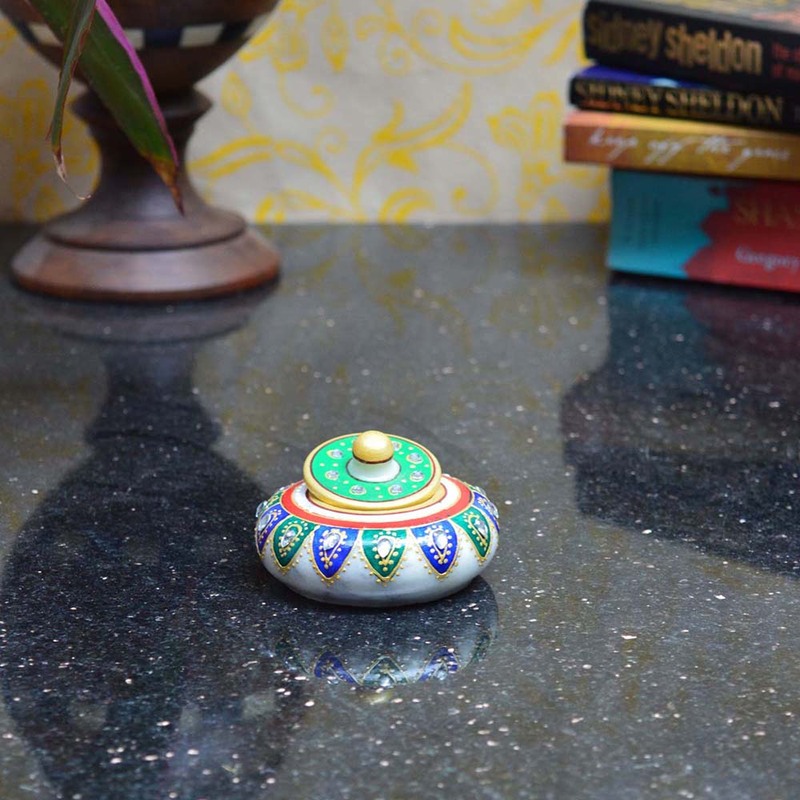 Hold your breath and stare at the marble green and blue sindoor holder that is designed to meet style and perfection. 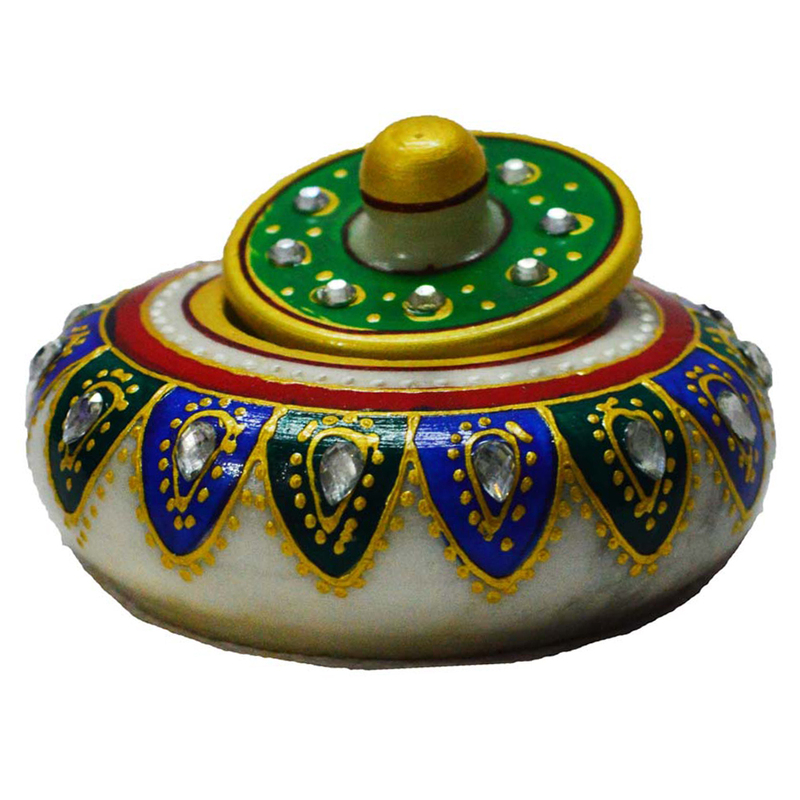 The sindoor holder is Read More..studded with white faux crystals and the purity of white makrana marble has been amalgamated with eye opening spectacular artistry work which is worth to be paid for. 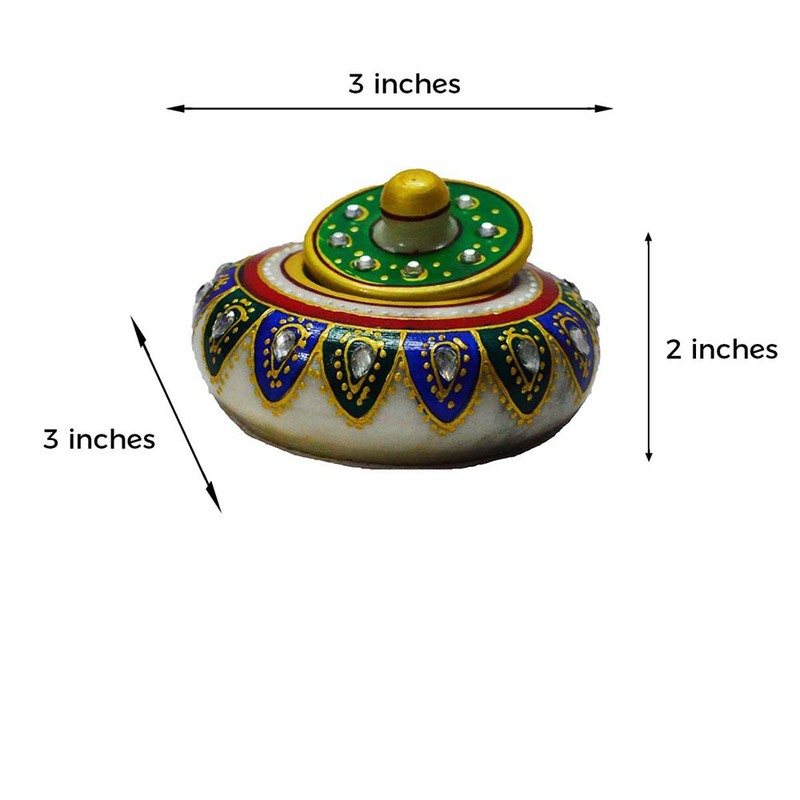 This is a 100% durable sindoor holder that can be wiped clean with dry cotton. Show Less..